Step 1: What time of the year can you transplant? Pepper-bark trees are evergreen trees and should be transplanted just before summer starts, which is between August and September. 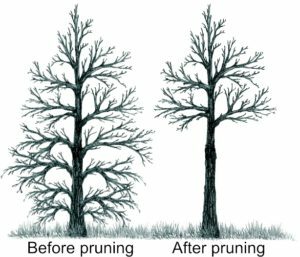 Prune the bottom branches away to get a clean stem. 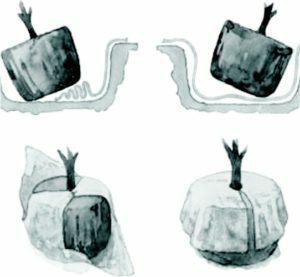 For an established tree, 60 – 70% of the root biomass is outside the dripline, which is basically the width of the tree. 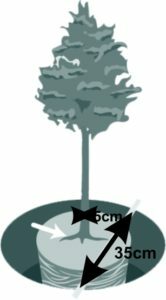 The size and condition of the root ball in relation to the overall size of the tree, is a factor in how much the tree will be stressed when it is moved. The larger the root ball, the better the chance of success in its re-establishment and growing successfully again. 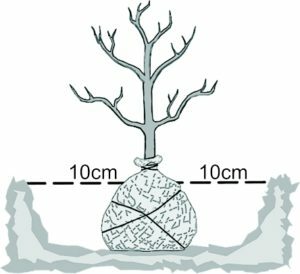 The standard for the size of a root ball is that for every one centimetre of trunk you need seven centimetres of root ball width. Dig a trench around the tree larger than the size of the root ball. Undercut around the tree, carefully pruning the roots extending from the ball as you’re digging down. Step 5: When the ball is partially exposed, start wrapping it in a burlap (hessian) sack starting from the base using rope to secure the wrapping. Keep digging until the ball is under cut. Leave as much soil around the roots as possible. Tilt the tree and finish the wrapping and secure the burlap underneath. 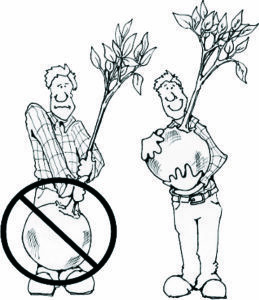 Balled trees should always be lifted by the ball and not the trunk. The trees need to be replanted no longer than a day after it has been dug out. Dig a square hole – the size of the hole depends on the size of the root ball. The hole should be 20 cm wider than the root ball. A large hole will allow better root growth. Planting depth is important. The backfill with soil must be enough to hold the plant slightly higher than the depth it was originally growing. The root flare and the top of the ball will indicate the planting depth. Air pockets should be eliminated by watering during and after the backfilling. 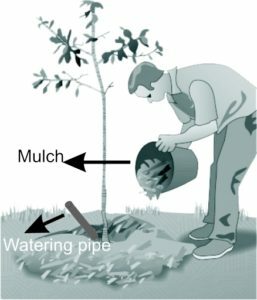 Install a 50 mm pipe with holes at an angle into the hole for watering the tree. By watering through the pipe, water will reach the root ball more easily. Cover the hole with bark chip mulching. Anchor the tree with cables to hold it in position. 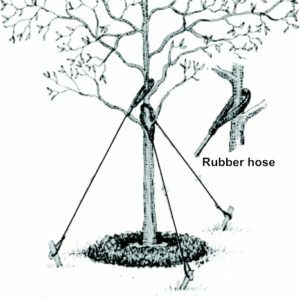 To stop damage to the tree from the anchoring cables, a soft material such as rubber hose can be placed around the part of the cable that goes directly around the tree. To stop it from cutting into the tree monitor it as the tree grows and loosen as needed. Aftercare: water thoroughly once a week. Fertilizer needs to be added once a year during spring as described in step 6.